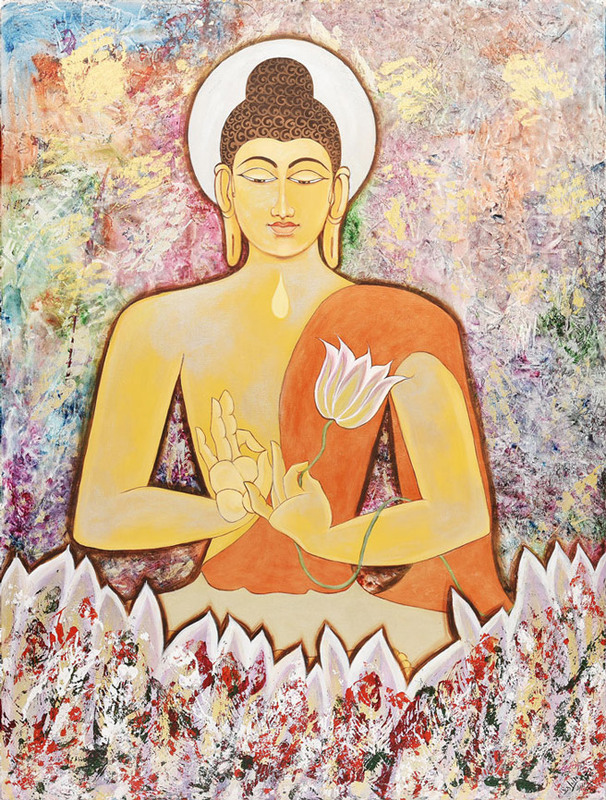 Keerthi Kankipati was born in 1984, and discovered her love for painting at the age of 15. She received her BFA at the Potti Sreeramulu Telugu University (2002) and MFA at Jawaharlal Nehru Architecture and Fine Arts University (2011) in Hyderabad. She has been selected and awarded in art exhibitions at state and national levels, including the 65th All India Art Exhibition (2006), the AP State Level Art Exhibitions (2007, 2009, 2013), and the AP State Art Competition and Exhibition (2010). She has produced commissioned art for NCC Limited and Paschal. Her recent shows include the 2016 exhibition “Sight and Insight” at Kalakriti Gallery in Hyderabad and the 2017 All India Women Artists’ Contemporary Exhibition at Panjab University, Chandigarh. Kankipati’s oil, acrylic, and watercolor paintings convey a quiet elegance through which she explores her surroundings. Her photorealistic style reflects a worldview shaped by her speech and hearing impairment. However, rather than limiting her range of expression, it has opened the door for deeper questioning of the natural and constructed world around her. Dubey, Palak. "A New Artistic Destination." Deccan Chronicle, 17 Dec. 2017. Metro India News. "Treat for Art Lovers." Metro India, 14 Apr. 2016. Devi Dundoo, Sangeetha. "Sight & Insight: Reality and Its Imperfection." The Hindu, 13 Apr. 2016. "Sight and Insight Art Exhibition at Kalakriti Art Gallery." Ragalahari, 11 Apr. 2016.